LOL, actually, I'm not such a big fan of Ruthie Knox. I really did enjoy About Last Night tho! It was just a great romance :) Ride with Me, that one, I enjoyed a lot less. I think I gave it a C... Lexie got on my nerve. Nath, thanks for recommending About Last Night I really enjoyed it. And you didn't like Lexie from Ride with Me? I thought that was a fun read. And, I don't know about the series, but I can recommend the Milan novella. LOL. 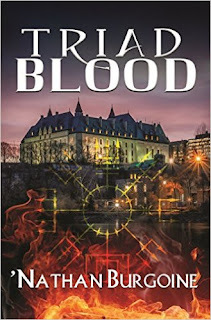 It was a great, great read for me. OMG THE HAIRPINS! That scene was just so deliciously wonderful. One of my favorites. 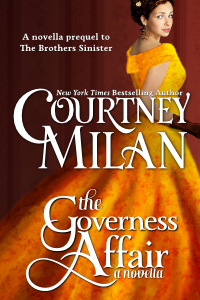 I read The Governess Affair when it first came out and actually recently re-read it. It wasn't quite as breathtaking the second time around, but I still really love this one. I had fun reading Ride With Me last year, too. I plan to read About Last Night soon myself! Christine, the hairpins! Sigh... I will re-read this novella too. I was in the mood for it, and hope it is as good the second time around. I hope you enjoy About Last Night! Nev and Cath are a great pair. I haven't read Ruthie Knox but Ride With Me has a type of plot I'm really interested in...was it really enjoyable? I enjoyed Ride With Me. It's a road trip on a bike and it was a fun ride. The situations that present themselves are different because of that too. I liked both characters which is important, so yeah... it was a great read for me. PS: I'm enjoying Ruthie Knox's contemporaries at the moment.